BGL is pleased to announce it has recently passed 100,000 paid SMSFs on Simple Fund 360 and 140,000 paid companies on CAS 360. BGL now has over 240,000 entities in the cloud, making it one of the largest developers of cloud software for accountants in Australia and continuing its many years dominance in the superannuation and ASIC corporate compliance industries. During the September 2017 quarter, BGL added 23,402 funds and 503 clients to Simple Fund 360 and 42,285 companies and 168 clients to CAS 360. 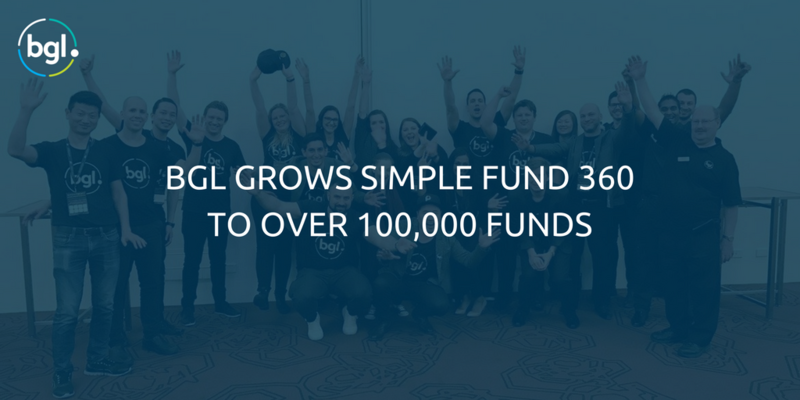 BGL now have over 3,200 clients representing 175,000 SMSFs using Simple Fund 360 and over 650 clients representing 175,000 companies using CAS 360. “Clients transitioning from BGL desktop to cloud based solutions has definitely contributed to this strong growth” noted Lesh. “However, we estimate clients representing well over 200,000 SMSFs and 700,000 companies have yet to migrate from our desktop to our cloud solutions, so really this is only the beginning of the work we need to do”. BGL recently released automated two-way data integration with Xero Practice Manager in both Simple Fund 360 and CAS 360. This integration means our clients only have to manage one database minimising discrepancies in data and saving a huge amount of administrative work.